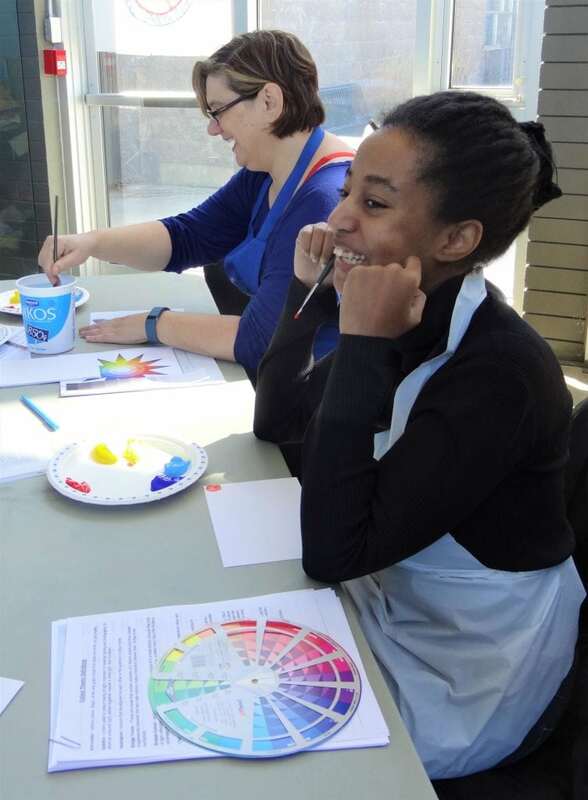 Introduction to Mural Art is a free visual art learning program for all ages and abilities. 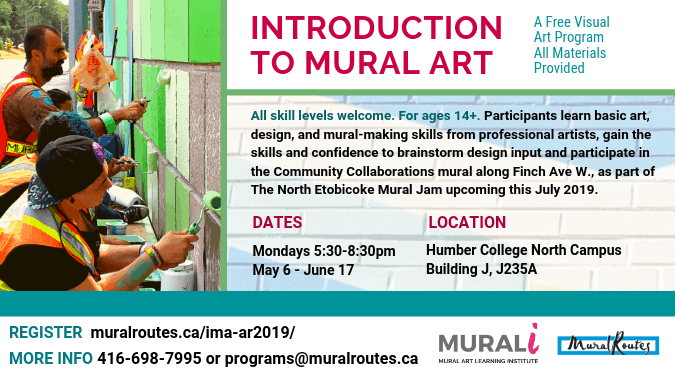 Participants learn basic art, design, and mural-making skills from professional artists, gaining the skills and confidence to participate in public art projects in their communities. 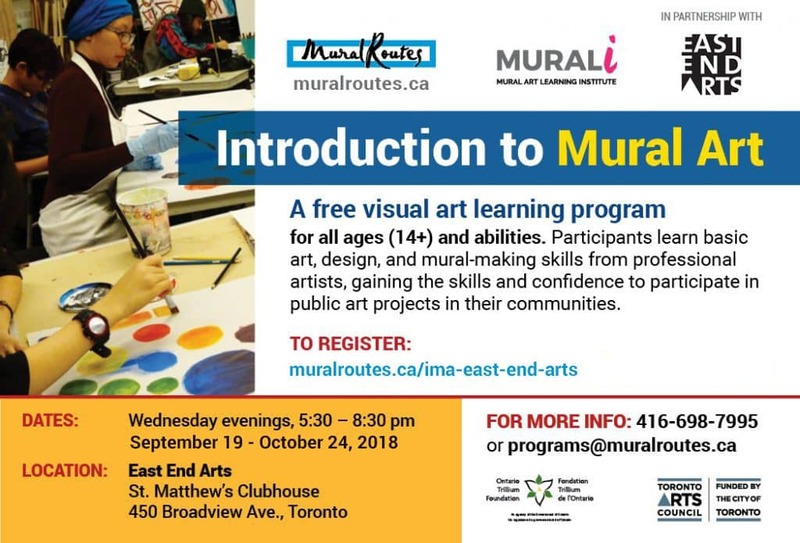 Introduction to Mural Art is comprised of six workshops, and is hosted approximately three times per year in communities across Toronto. 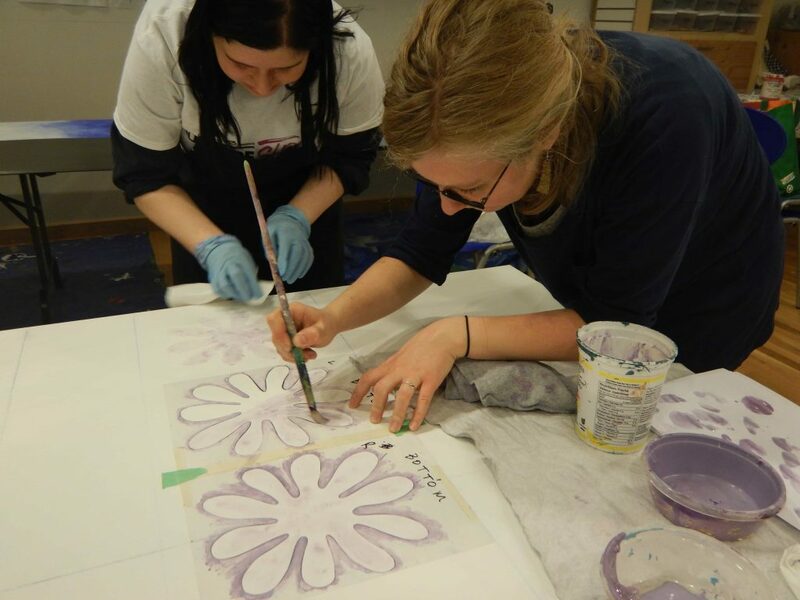 Workshop topics include: drawing & painting techniques, colour theory, design challenges, stencil creation & printing, enlarging techniques and large-scale collaborative final projects. 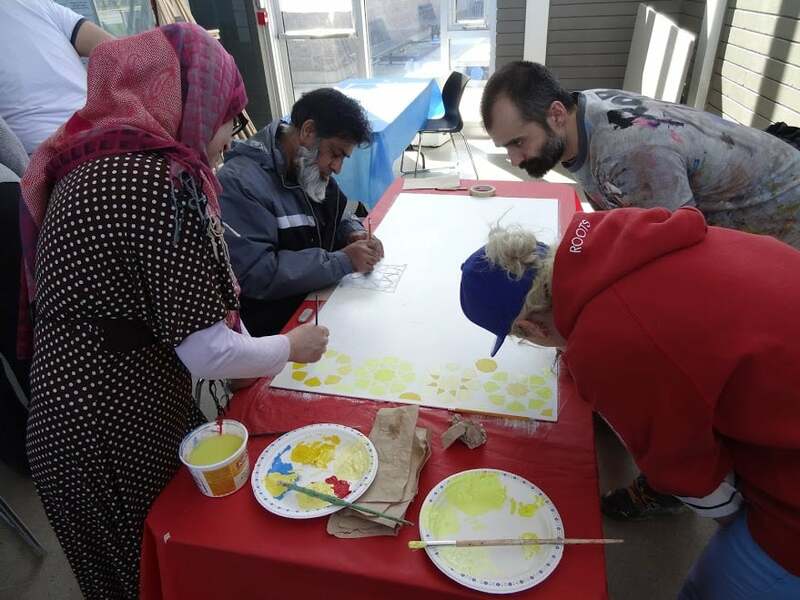 Each program can be adapted to serve the community where it is being presented.